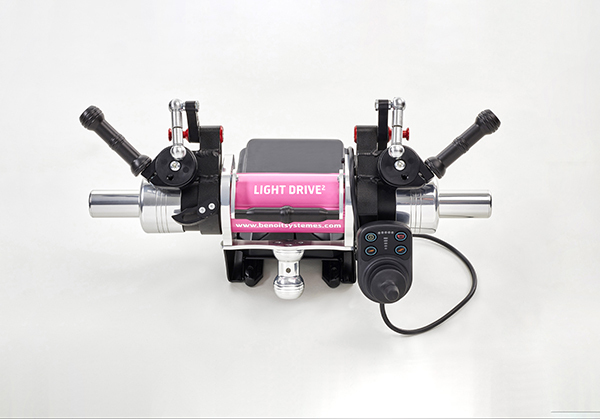 Light Drive² adapts and becomes the Mini Light Drive². 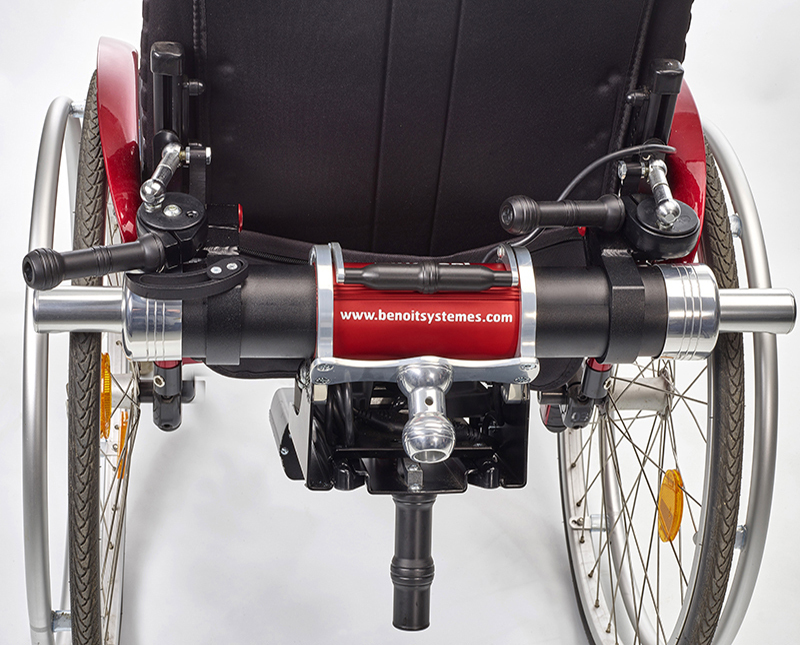 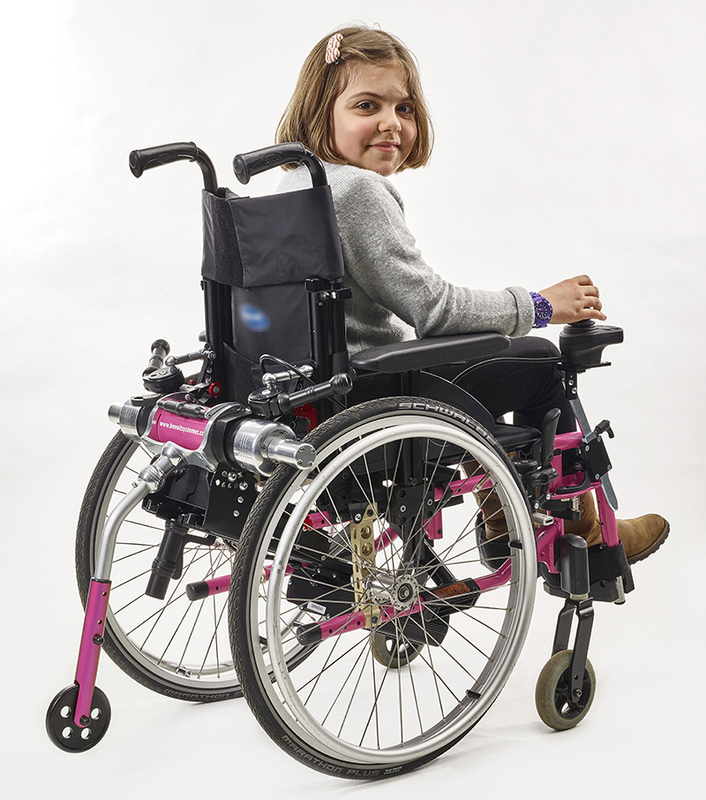 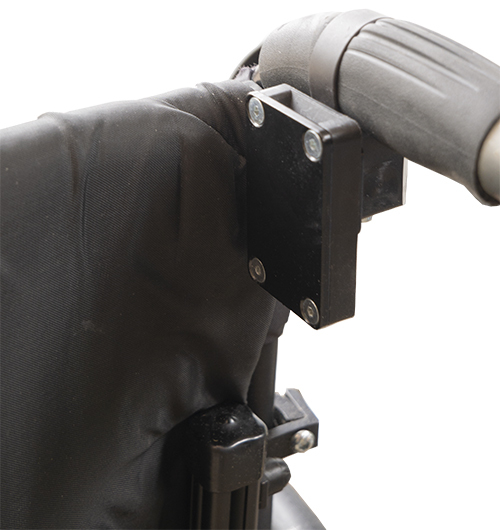 The Mini Light Drive² is adjustable and adapts to various wheelchairs (e.g. 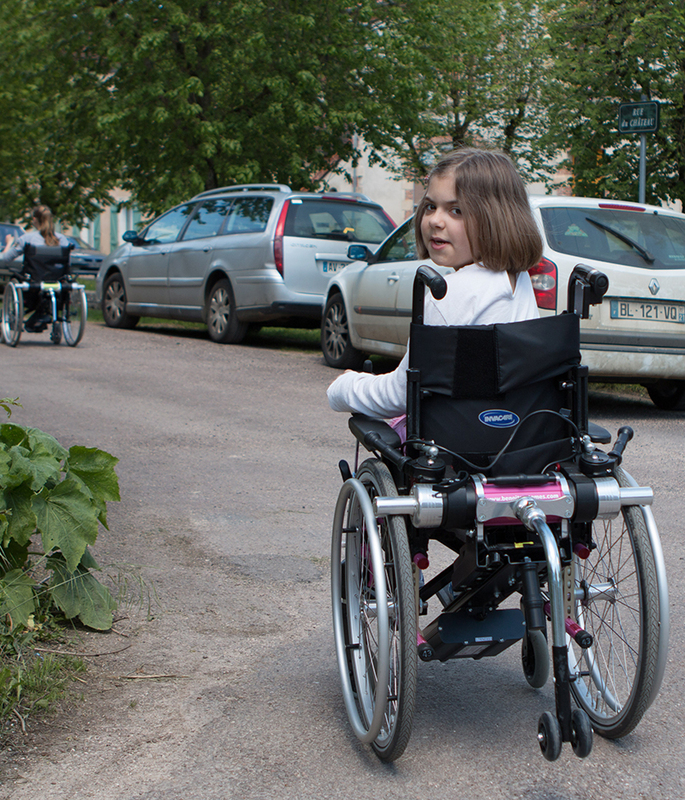 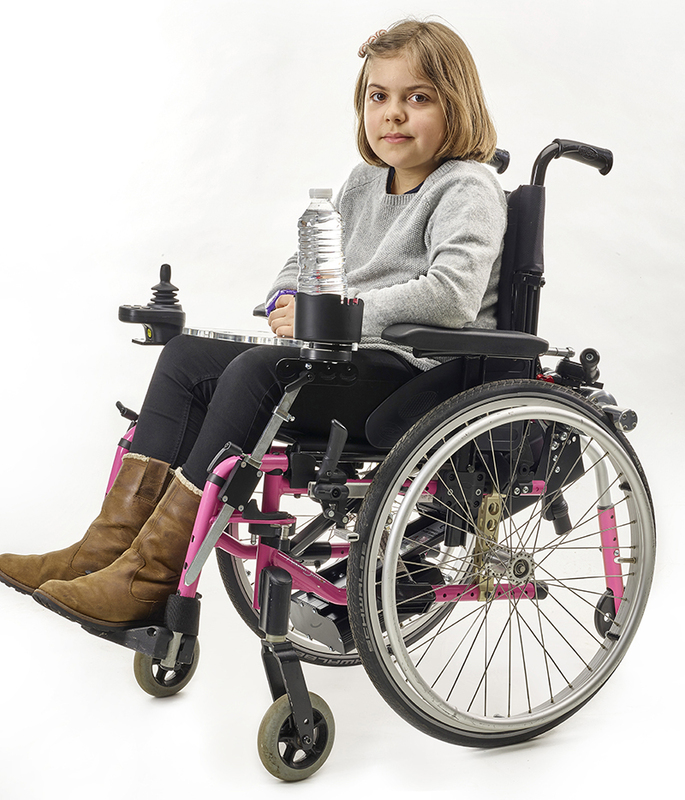 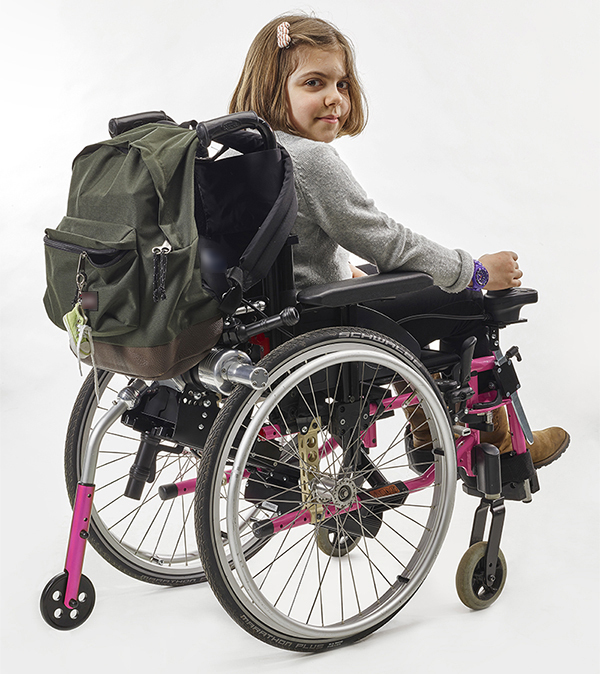 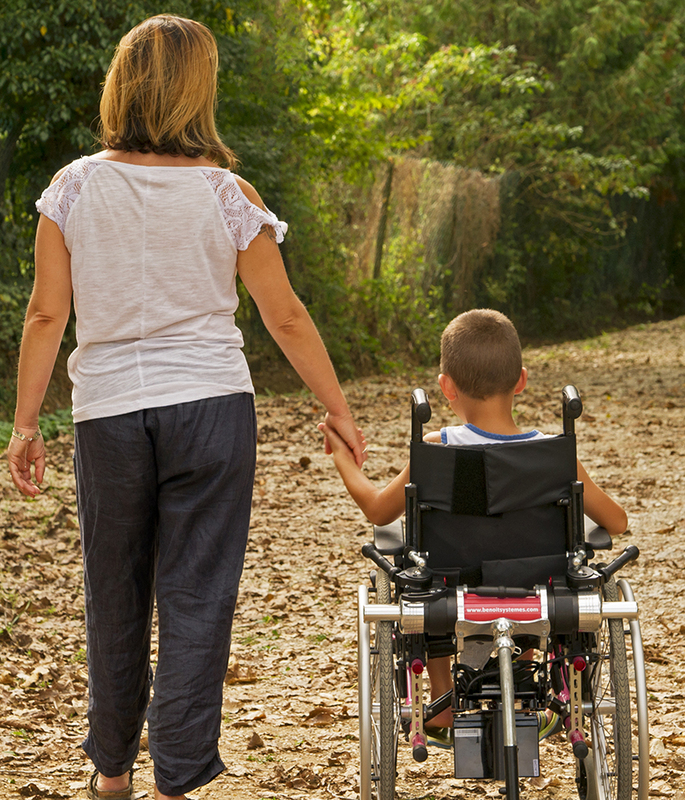 when a child grows, or the type of wheelchair is changed). 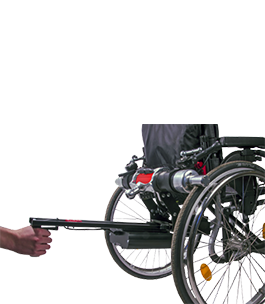 The wheelchair equipped in this way remains very easy to load into a car. 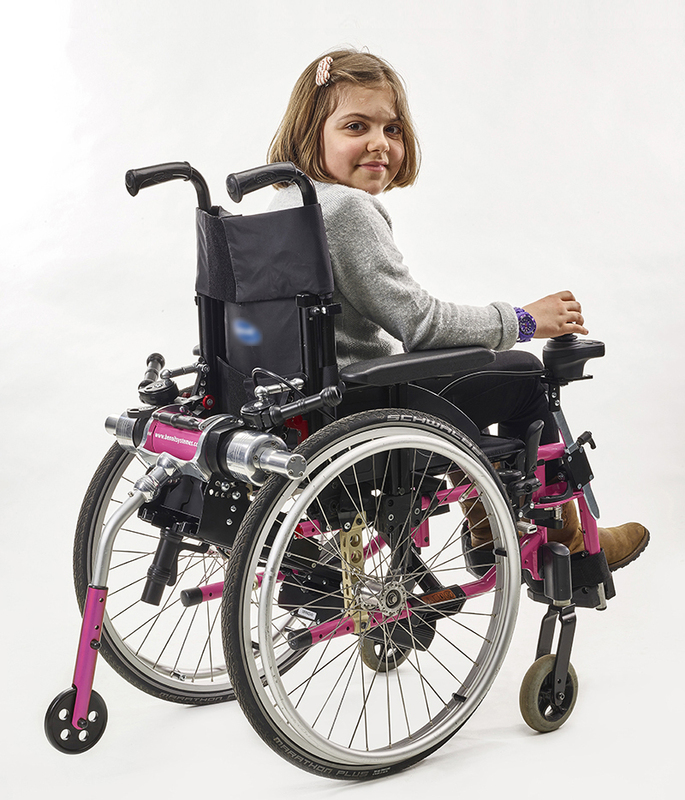 Thanks to this, the child will be able to easily move about on all types of ground (steep slopes, grass and gravel). 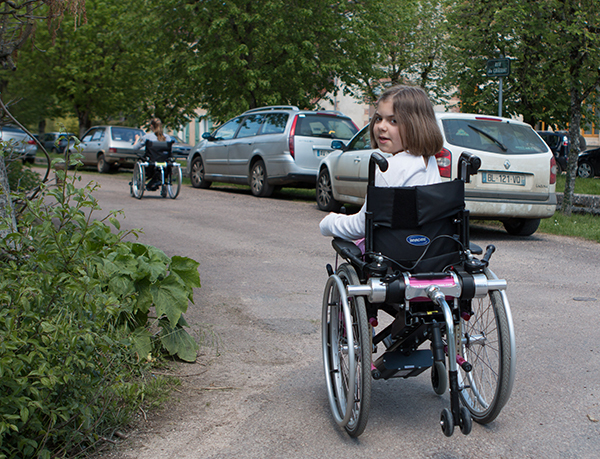 The reverse gear will help them to cross the most difficult obstacles, such as small steps or pavements. 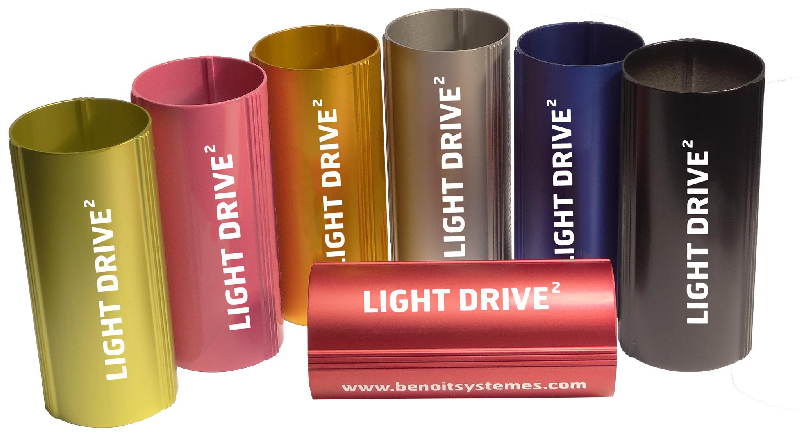 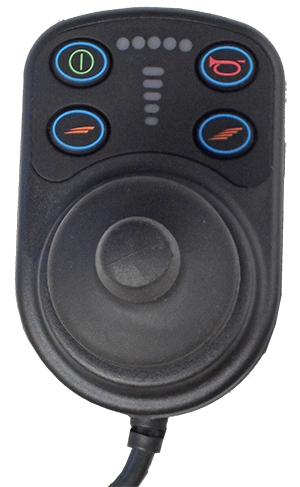 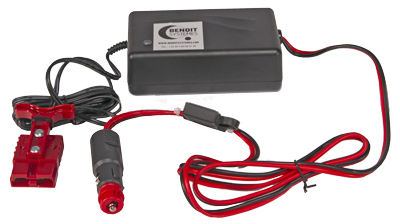 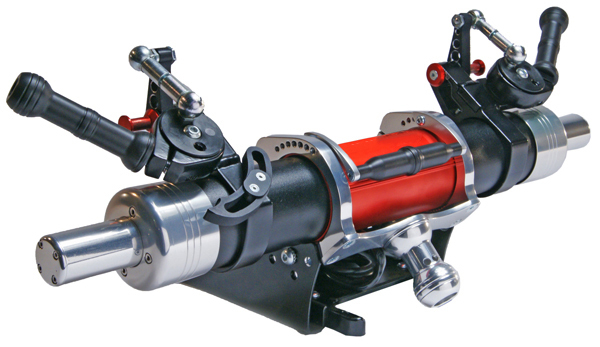 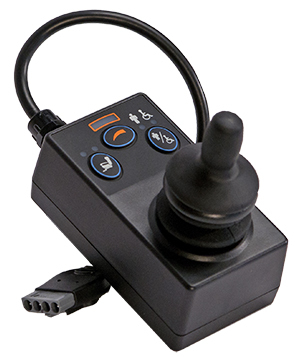 The Mini Light Drive² is installed in less than 20 seconds and is driven with a joystick. 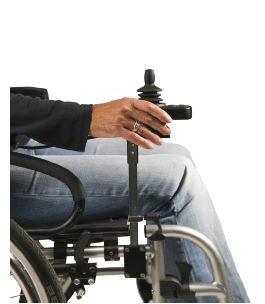 The wheelchair remains as easy to manoeuvre and use as when it was purely manual. 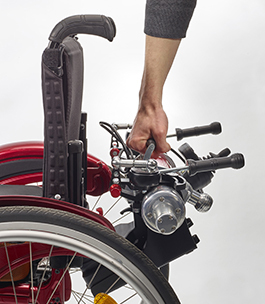 Disengage the motor in a single movement, and you can go back to using the wheelchair manually. 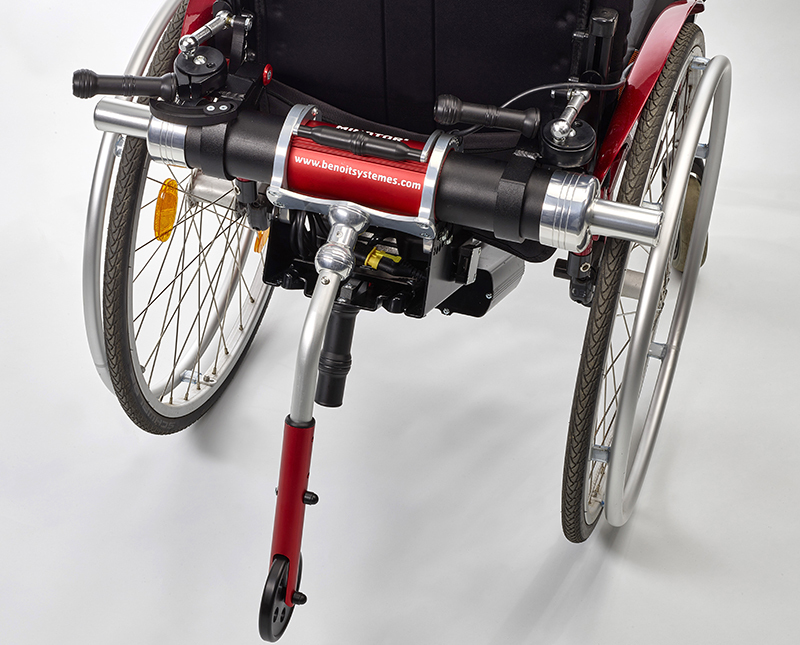 Reliable and strong, the Mini Light Drive2 provides excellent robustness for the rough use that young users can give it.